Whether a complete beginner, an advanced student preparing for an audition, or even a professional musician looking to learn something new – our instructors are ready for the task! While taking lessons, students will also become part of a large and diverse music community – many students often join local orchestras, start rock bands, perform at our annual recitals, or just meet up for a jam session with friends! 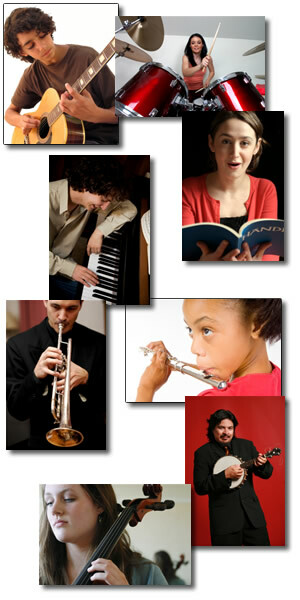 Guitar, Piano, Drums, Bass, Vocals, Violin, Viola, Flute, Cello, Ukulele and all Brass and Woodwind instruments.